With the largest range of finger sizes in the UK we believe that we have the perfect tungsten ring for you regardless of your finger size. 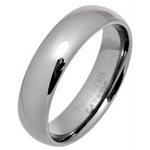 We stock many of our tungsten rings in large finger sizes classed as Z+ on the UK scale. With a choice of 18 tungsten rings, available in large finger sizes from Z+1 to Z+10 all in stock we are sure we have a design for you. Many jewellers are only able to measure fingers up to Z+6 making it very difficult for you to find out your size if you are larger than Z+6. To help you, we are happy for you to order more sizes than you need to try at home, and return any unwanted sizes for a full refund. 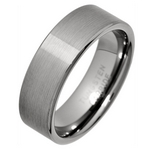 Our Tungsten Carbide Rings in Large Finger Sizes have been rated 10 out of 10 based upon more than 153 customer reviews.